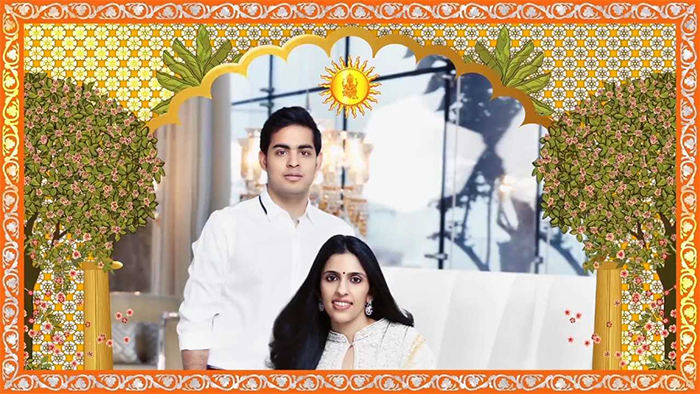 Mukesh Ambani and Nita Ambani's eldest son Akash Ambani is all set to be formally engaged to his childhood friend Shloka Mehta, who is the youngest daughter of diamond magnate Russel Mehta and Mona Mehta. 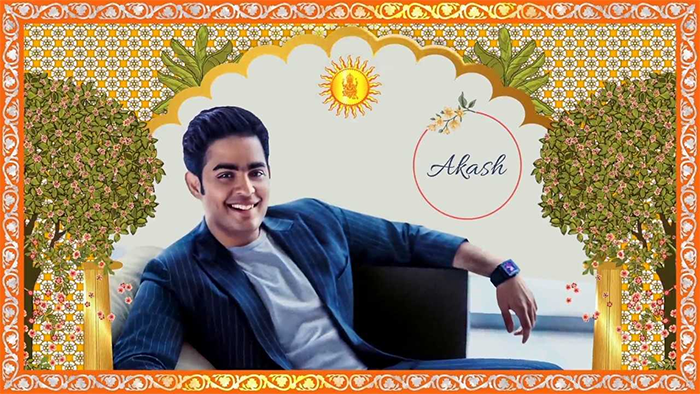 The engagement ceremony will be held on 30th June at Antilia - the plush Ambani residence in the heart of south Mumbai. 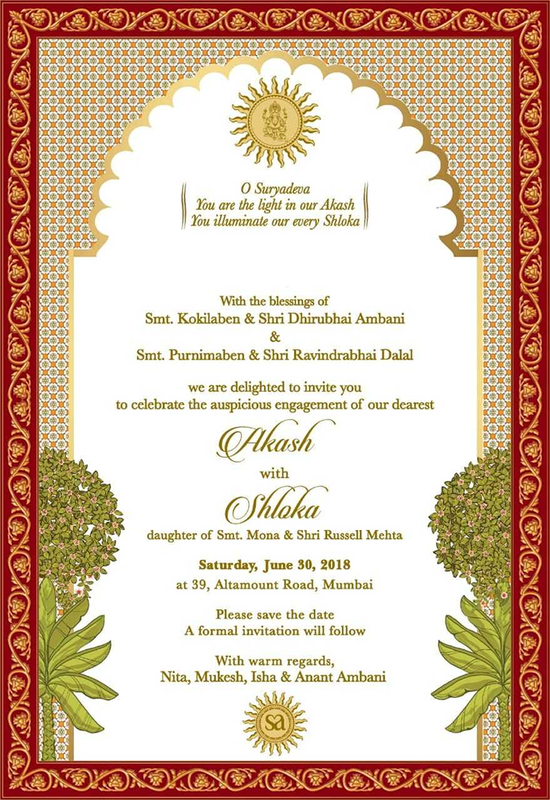 Informal "save-the-date" cards are already being distributed although an official invite is expected to go out soon. Here are inside pictures from their engagement invitation.